Hawaiians are famous for sharing their islands' riches -- the incredible beaches, the dazzling reefs, the torch-lit luaus, etc. -- but for generations islanders held back one treasure for themselves alone. Their secret pastime? Slack key guitar. 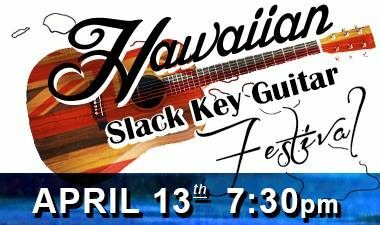 Now, after years of obscurity -- the first slack key recording wasn't made until 1947 -- an amazing musical showcase celebrates both this unique style and its gifted practitioners, the Hawaiian Slack Key Guitar Festival. 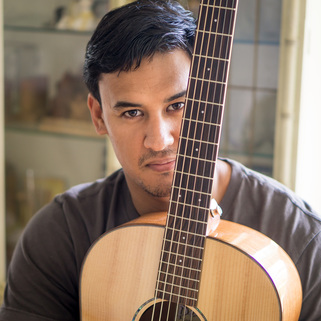 Featuring four prominent Hawaiian guitarists and two local artists, the festival has been dubbed a "Must See" event by Acoustic Guitar. Simply put: If you haven't heard the guitar played in this ancient Hawaiian style, you haven't heard the full potential of one of the world's most versatile instruments. 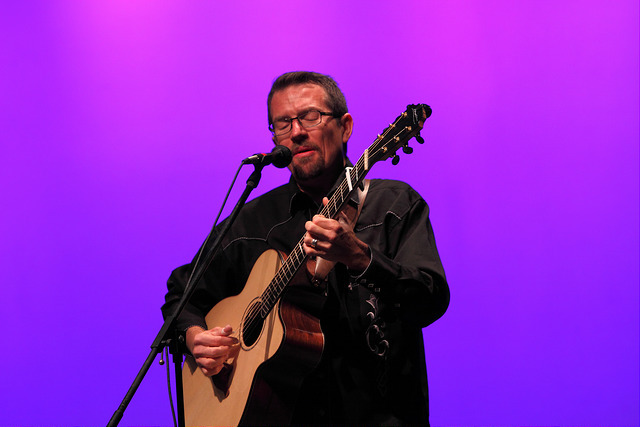 Experience it yourself when the Festival brings the Aloha Spirit to the Dennis Flyer Theater. 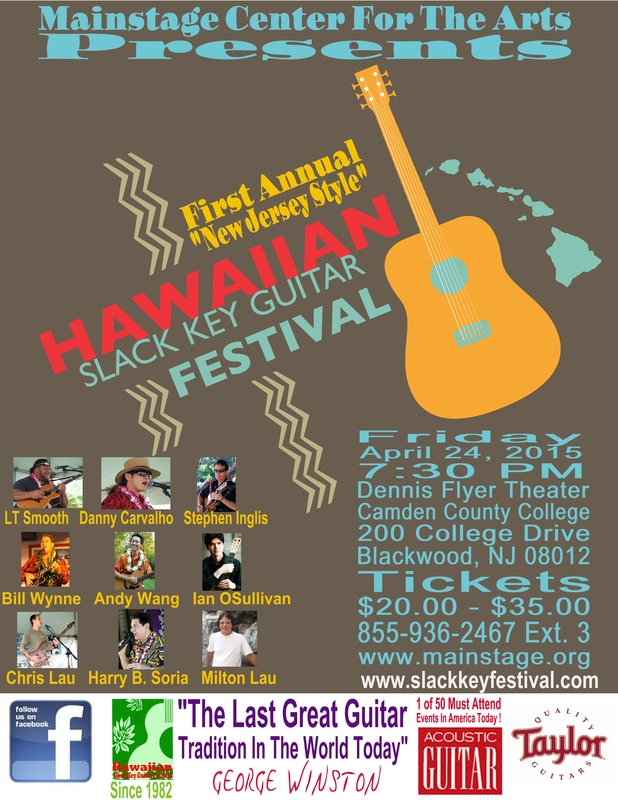 After 32 years of success in Hawaii, the Hawaiian Slack Key Guitar Festival comes to New Jersey for a concert at the Dennis Flyer Theater at Camden County College located at 200 College Drive in Blackwood, NJ 08012. The festival is coming off three sold out shows in Portland, Oregon; Eugene, Oregon and Seattle, Washington. 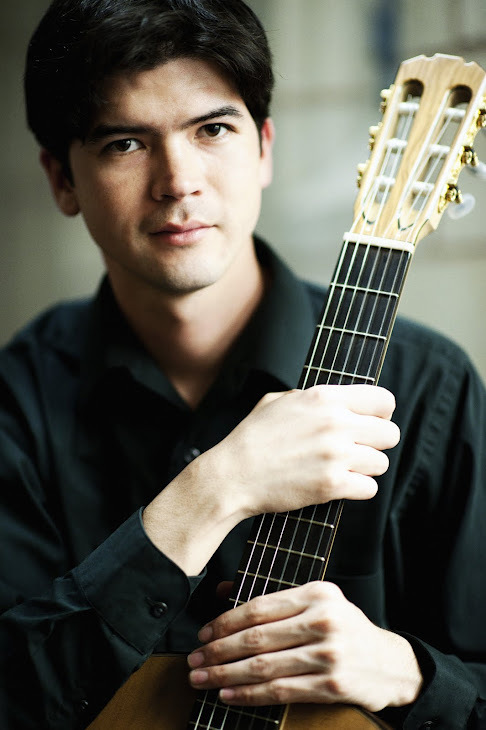 Blayne Ahsing released his debut album “Young, Old Soul” in 2015, which earned him the 2016 Nā Hōkū Hanohano Award (Hawaiʻi's GRAMMY® Award) for Most Promising Artist. 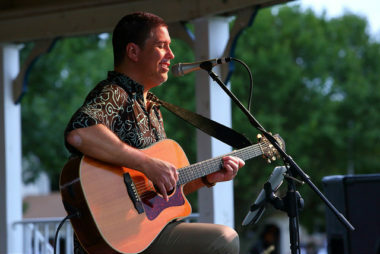 Michael Keale has entertained at the Royal Hawaiian Hotel and Marriott’s Moana Terrace in Waikīkī. 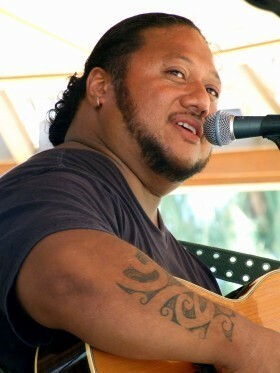 He has also shared the stage with his cousins Izrael and Skippy Kamakawiwo’ole, Uncle Moe Keale, Dennis Kamakahi, Melveen Leed, Martin Pahinui, Cyril Pahinui, and George Kuo, just to name a few. Michael continues to share his aloha, capturing the hearts of visitors and kama‘āina alike at the Kaua‘i Coast Resort’s Hukilau Lānai, and Hanalei’s Tahiti Nui Lounge. 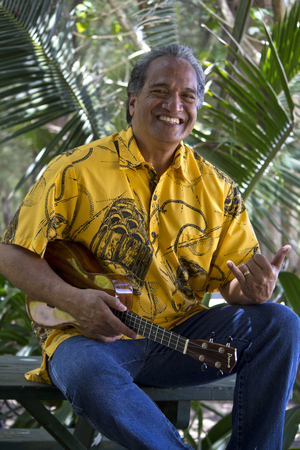 Ikaika Brown and his father, Kevin, are famous as Maui’s “father-son slack key duo”, performing together for over 20 years. 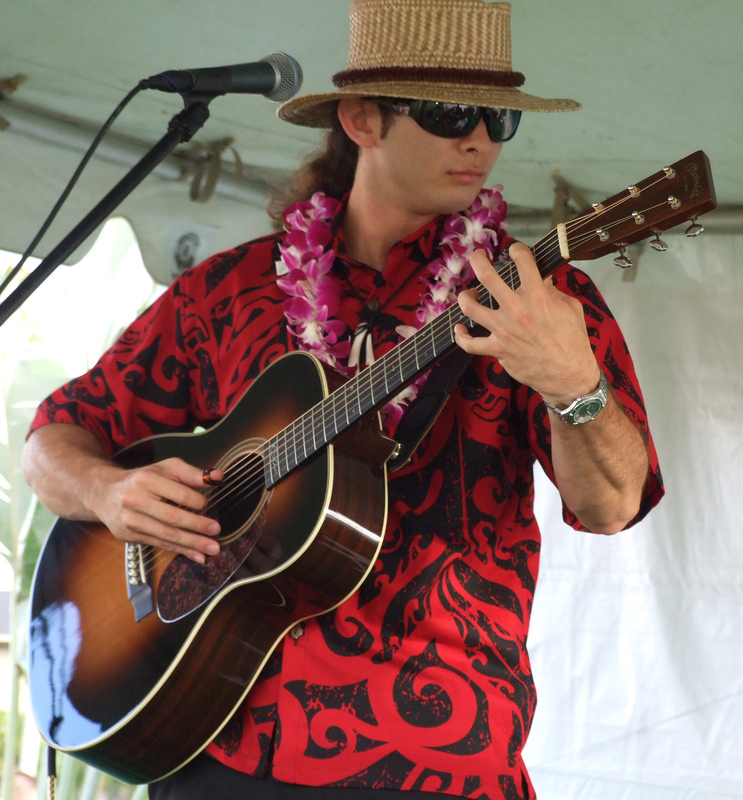 In 2006 they contributed to the Grammy nominated compilation CD, Hawaiian Slack Key Kings Volume 1and then once again to Volume 2, which was both Grammy nominated and also a Na Hoku Hanohano Award winner for Best Compilation in 2009. 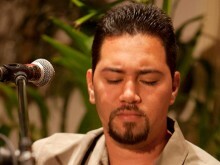 Producer and bass player Chris Lau is a 7-time Grammy nominee who co-produced acclaimed album Hawaiian Slack Key Kings (2008). 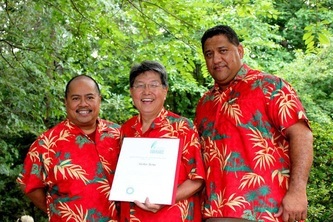 The Aloha Boys Born and raised in Hawai'i and transplanted to the Washington D.C. area to pursue careers, the Aloha Boys, Glen Hirabayashi, Isaac Ho'opi'i and Irv Queja - met in 1996 while playing music for their children at Halau O 'Aulani, a school of Hawai'ian culture, in the Washington, D.C. area. A special and exciting bond grew musically among the Aloha Boys, who love to kanikapila or play an acoustic down-home, backyard-style Hawai'ian music, a style which includes everything from the very traditional to contemporary songs and styles. They all sing lead and backing vocals. Their voices blend in a nahenahe (soft pleasant) style. Richard Ho'opi'i, and Jerry Santos. And he has appeared on the Pakele Live TV series - broadcast around the world via the internet - twice. 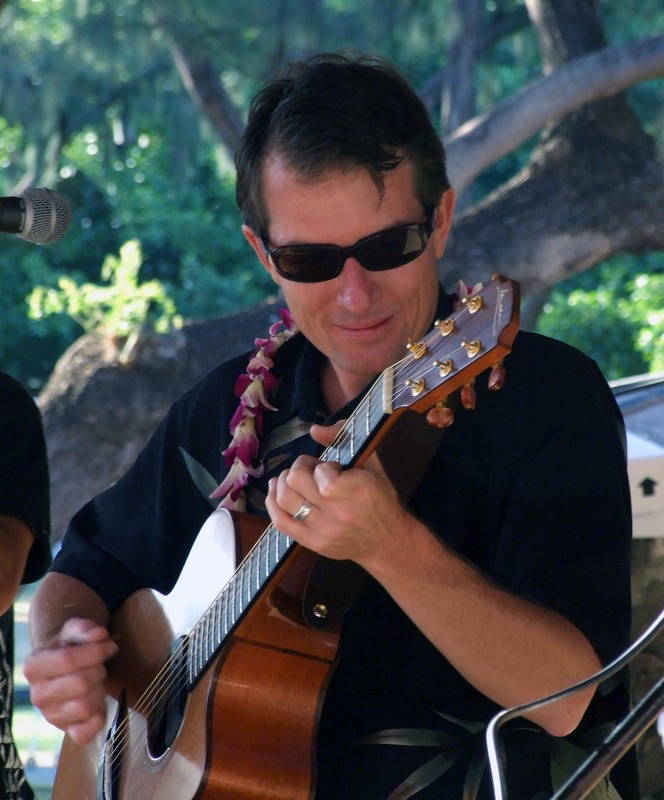 legends of slack key, steel guitar, and 'ukulele by ear. 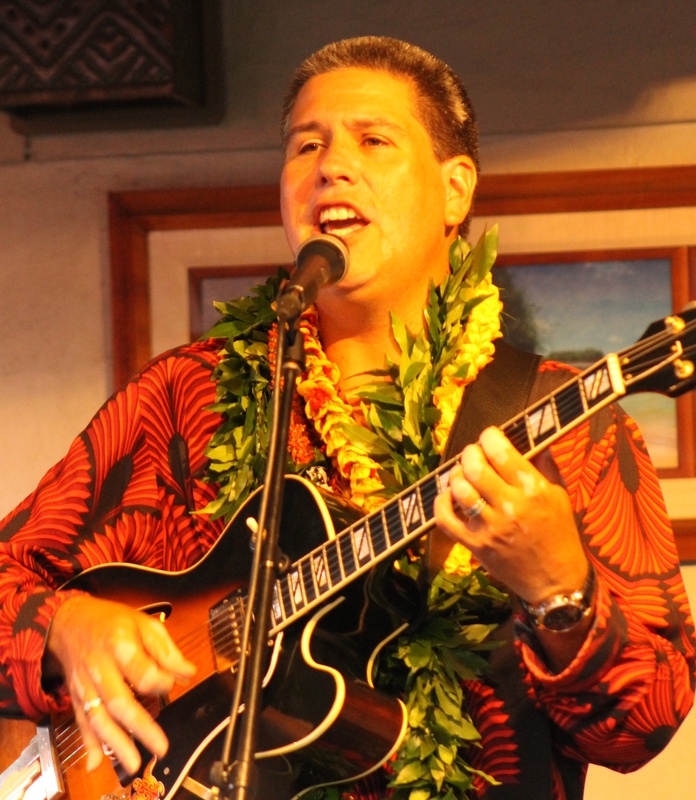 Bill has put this rare skill and his vast collection of Hawaiian music to use by creating the 24 hour-a-day Hawaiian music radio station "Ho`olohe Hou Radio" at Live365..